Katharine Coles explores evolving gender roles through her grandmother's life in Look Both Ways. 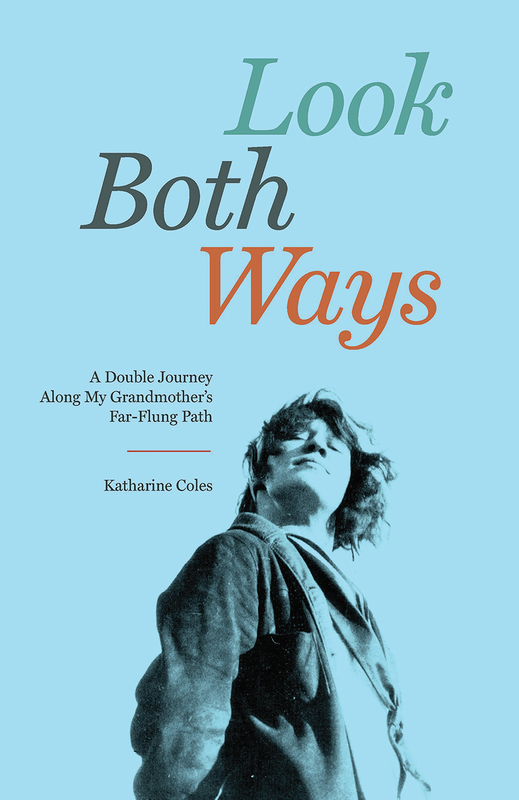 Depending on how you look at things, Katharine Coles' Look Both Ways has been a journey 17 years in the making, or maybe more than 20 years, or perhaps more than 90 years. When you go diving into a complicated family history, it's easy to get lost. Coles—a University of Utah professor of English and one-time Poet Laureate of Utah—took on the subject of her own maternal grandparents, Miriam and Walter Link, through journals and correspondence that Miriam passed on to Coles. 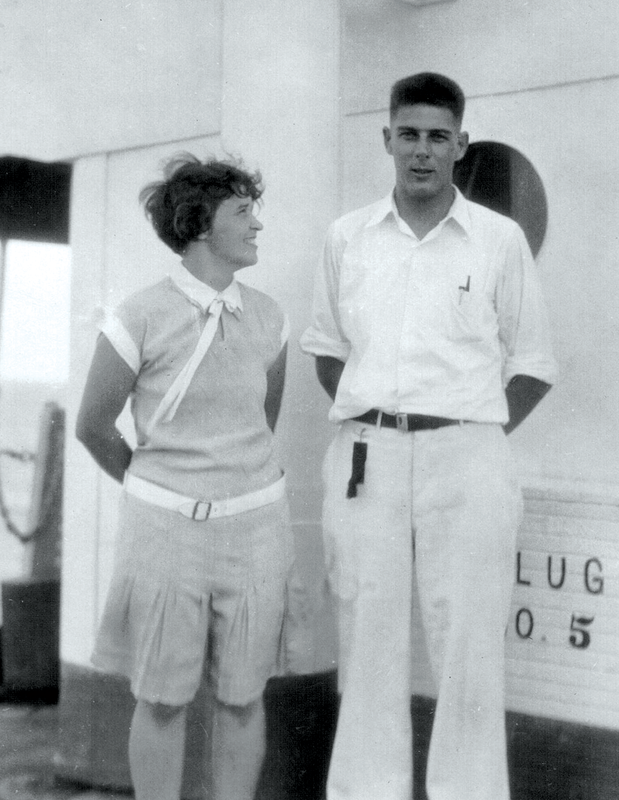 Although Miriam and Walter were trained as geologists, upon their marriage in 1927, only Walter went to work for Standard Oil, leading him to exploratory surveys in places like South America and Indonesia. Miriam, meanwhile, was left to domestic life—and to a growing dissatisfaction that bubbled into various romantic affairs, including the man who was to become the husband of Miriam's own sister. On that level, Coles' book was an extremely personal project, and one that uncovered details that had previously been unknown to family members. "There were a lot of pieces of this that were family lore," Coles says. "It was sort of rumored that [Miriam] had this romance with a Dutch pilot. It was known in the family that the man who married her sister at least had a flirtation [with her], or they'd been in love in some way. But I think the extent of those romances, the lengths to which they finally went, was a surprise. "My mother just finished the book," Coles adds. "She said, 'I think I never wanted to know that much about my parents.'" For Coles, knowing this information wasn't necessarily the same as knowing what to do with it. Although she first came into possession of the documents in the mid-1990s, Coles wrestled with how to apply her own writing skills to Miriam and Walter's story, initially thinking they might become subjects for her poetry before considering a project on a larger scale. "There was a moment when I thought, 'Maybe I'll write a novel,'" she says. "Then I thought, 'I don't think I can write a novel that's as interesting as what actually happened.' The other thing was, their own language was so compelling. I knew my grandmother had wanted to be a writer, and hadn't quite put that all together. Then I realized my grandfather had wanted to be a writer as well. So I thought, 'OK, let them be writers.'" While it would have been easy for Coles simply to chronicle the gender dynamics of an early-20th-century American marriage through the documents, she ultimately realized that she was becoming part of the story. Through the pages of Look Both Ways, Coles revisits the places where her grandparents lived and worked. That physical experience was important to her process of understanding her own place in this family history. "I share with both of my grandparents this sense of wanderlust," Coles says, "this feeling that if I only do it online or through archives, there's something textural or palpable that I'm missing, that I'm not experiencing in a first-hand way the layers of history that a place comprises." That first-hand process also led her to the realization that this multi-generational story could explore the constraints placed on women, and the ways in which those constraints have loosened over time, yet still remain, as she was able to see as a woman traveling alone in countries where such behavior could be considered dangerous. "One of the things that really opened up for me was understanding the frustrations that my mother, my grandmother, my great-grandmother faced, as brilliant, gifted, totally thwarted women—what it must have been like for them," Coles says. "And to be, myself, exerting my own freedom now, and even now feeling the resistance that the culture puts up against a woman exerting the kind of freedom I was insisting upon." Still, the book remained incomplete for years, to the point where Coles says she believed "I was never going to finish it." Then, in the fall of 2016, she recalls two friends who'd read earlier versions asking about the status of Look Both Ways, coincidentally around the time of the election campaign of that year. "I thought, 'Well, I'll just go back and read it again,'" she says. "And something clicked with the politics of the moment. I think that I really had to be that annoyed, even though I was able to exercise so much freedom and privilege, about that constant fear that has been so well-articulated over the past two years. ... So the juxtaposition that the book takes about how far things have come, which is true, at the same time, there was this sudden realization of how fragile that progress is, and in some ways how illusory it is. I do think there was a sense in which the historical moment clicked this shut, in a way that I had not been able to do."